The Pleiades are a mystifying cluster of stars believed by many to be a source of spiritual wisdom. James Carwin serves as a medium who delivers messages from his Pleiadian spirit guide, Deltavash. 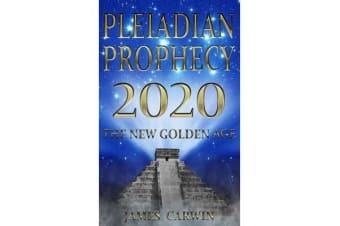 This compilation of channeled writings features astounding information told from an extraterrestrial perspective. Learn about the true history of Earth, extraterrestrial races, the nature of good and evil, ascension into the 4th dimension, world predictions and the future of humanity as we approach a window of opportunity leading up to the year 2020 that can forever change our world and affect the entire universe.